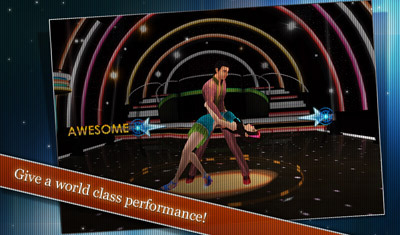 TAKE THE STAGE AND DANCE YOUR WAY TO VICTORY IN DANCING WITH THE STARS: ON THE MOVE! Enjoy an exciting rhythmbased game inspired by the highly successful Dancing with the Stars show that lets you Tango, Jive, and Samba your way to victory.Pick your favorite partner including Derek Hough, Mark Ballas, Cheryl Burke and more! Develop your own unique style and build a world-class performance, wowing the judges with polished moves and stunning the audience with extravagant and customizable outfits. Think you’re the best dancer? Get your groove on today and thrill the world with a jaw-dropping performance! 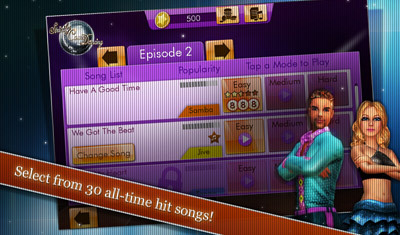 Give a world-class performance dancing to 30 all-time hit songs!